For our first guest post, we are thrilled to welcome Chris from Postcards and Pretties. We love everything that Chris posts on her blog, but our favorites are her inspiration boards, which are always so lovely, perfectly edited, and, well, inspirational! So of course, we were very excited when we saw that she had sent us a love & lavender inspiration board for her guest post. Without further ado, here she is! Hello Love & Lavender readers!! I’m Chris from Postcards and Pretties and I’m so happy to be guest blogging today. For this board I was inspired by what else love & lavender. I wanted to create a something that both soon to be sister-in-laws will adore. I’m a big fan of intimate outdoor weddings and I pictured salvaged windows as a seating chart leaning against an old tree to direct the guests to canopied tables tucked away in the garden. Sprigs of lavender make their appearance in many ways – to the simple boutonnière, refreshing signature drink and in the landscape. 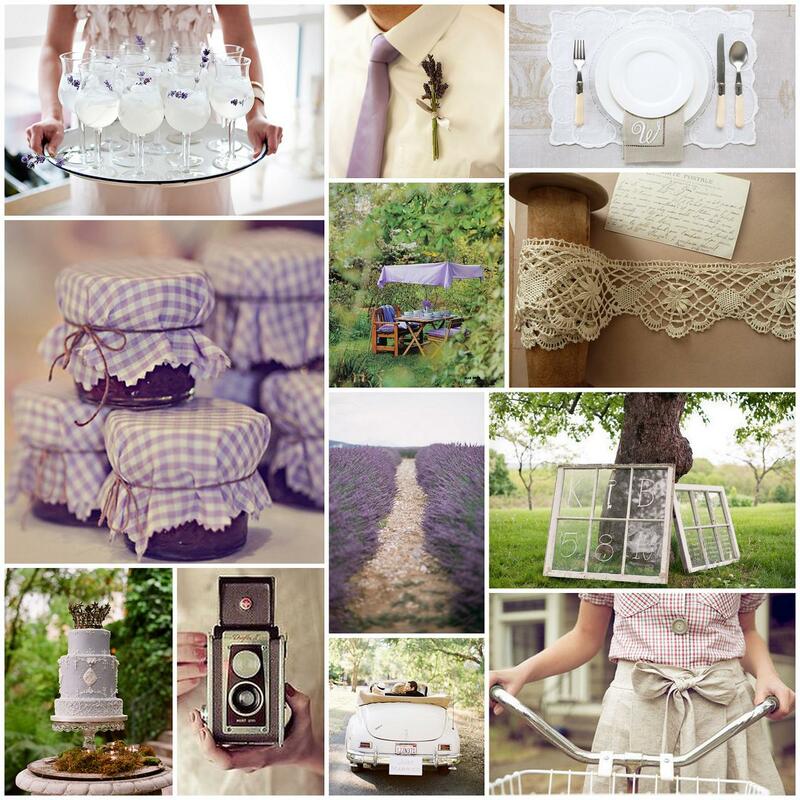 I also love the use of delicate lace, lavender gingham and vintage french linens in this board. Thanks so much Chris! It was such an honor to have you on Love & Lavender. Check out more Postcards and Pretties inspiration boards here. 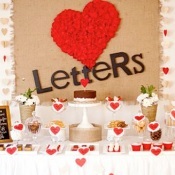 V-Day Dessert Tables to Make Your Mouth Water! I posted about this earlier on my own web blog. Your article has really given me some food for thought, I really feel you have got made many very intriguing points. I wish I might discovered it earlier, prior to writing my own post. I love this board! Lavender is one of my favorite colors and flower. I just adore the jam favors. Totally LOVELY! I am on such a Lavender kick lately, so I’m especially smitten with this board! Of course it’s even more perfect that she was inspired by the sweet name of this blog! oh this is lavender heaven! so so lovely! Chris has an amazing eye! Love all of her boards and inspiration!!! This one is amazing! This all comes together so perfectly! so gorgeous! lavender so delicate and pretty! Oh this is just so dreamy!! From the cocktails to the cake…and everything in between – I just want to live here!!!! Amazing job Chris!!! This board is perfection, love the ease and the soft hue. This might be my favorite board yet. I simply love lavender!